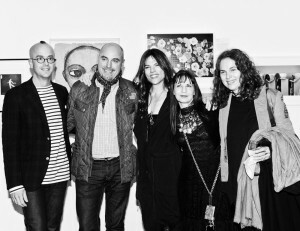 Our ART ♥ STEPHEN PETRONIO COMPANY benefit art auction was a great success! Many thanks to all our friends and supporters who joined us. And extra special thanks to our donating artists! Click on the pic for more party and performance fotos by Interview Magazine! Linda Shelton, Executive Director of The Joyce Theater Foundation, announced that The Joyce has selected Stephen Petronio as its first Artist-in-Residence. The residency is designed to allow choreographers to focus on artistic efforts and to establish a daily choreographic practice while also infusing the Joyce’s operations with their ongoing insights. The Artist-in-Residence initiative is made possible by a generous grant from The Andrew W. Mellon Foundation.